Laurie, though the younger of the two sisters (Janine was good-humoredly offended at how quick Laurie was to point out who was older), is the more veteran 3-Day participant, with the 2014 Michigan 3-Day being her twenty-fourth event; she has walked eighteen times and crewed six times, including this Michigan event, and will walk again in San Diego this November. But Janine’s 3-Day experience is impressive too; she has walked seven times and this event marks her second year on the crew. Even hearing them try and itemize their 3-Day resumes (“No, you’ve walked eighteen times, not seventeen.” “Eighteen? Are you sure?” “How can I know this and you don’t know this? !”), their sisterly rivalry—though energetic and affectionate—is unmistakable. They shared stories about how last year, working a pit stop in Boston, their captain kept mixing up their names until the two ladies decided to write them in large black letters across their crew shirts, and another story about how one morning on the Arizona 3-Day, when Laurie was worried that they’d overslept, she let the air out of Janine’s air mattress right under her to get her sister moving. You can just picture them laughing through the whole thing. Laurie immediately knew she had to walk again. So she signed up again, trained and raised money. Janine’s birthday was on Day 1 of Laurie’s walk in San Diego that year, and she called her sister to tell her, “This one’s for you.” Janine’s response? 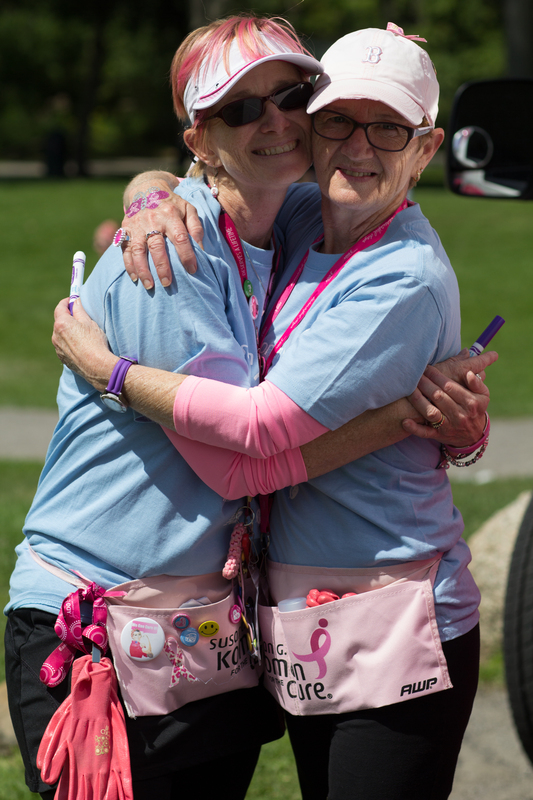 “Next year I’ll be there with you.” The following fall, Laurie and two of their other sisters joined Janine on her first 3-Day, where she proudly walked as a survivor. 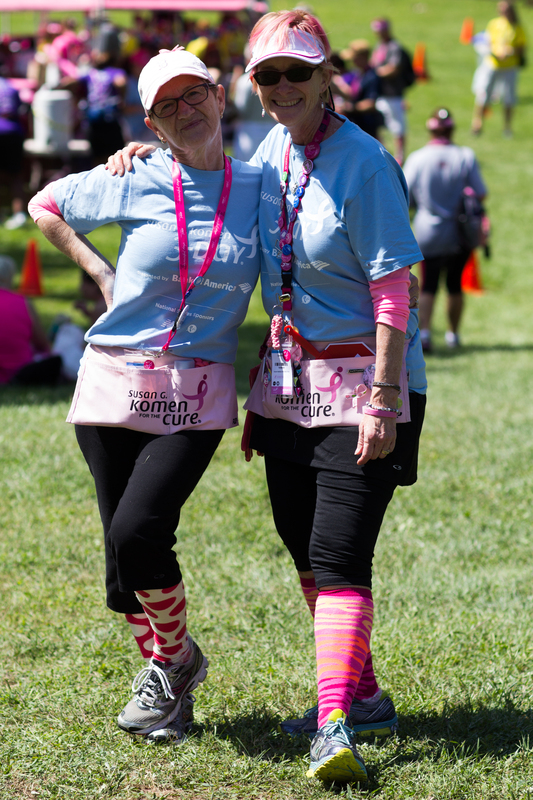 Michigan 3-Day participants can look for Janine and Laurie at the lunch stop this weekend. Where you find one of the sisters, the other is sure to be nearby.